Have you ever noticed that when you are within a group of women who do not know each other well, if there is a lull in the conversation, a compliment is shot out? It is usually over clothing or makeup, because what else is there to compliment when you do not know what another woman is about? If it goes the makeup route, it is usually eye lashes, sometimes lip color. 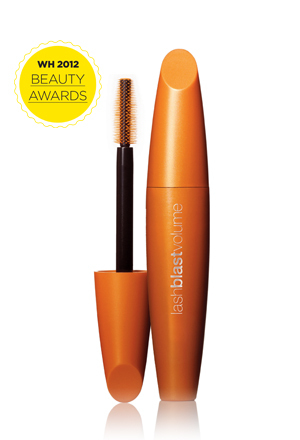 I don’t know why we are so obsessed with proper and thick lashes, but we are. It is a tad creepy if you think about it. They are short, odd hairs sticking out of a skin flap. Yet, we spend money to make them prominent. 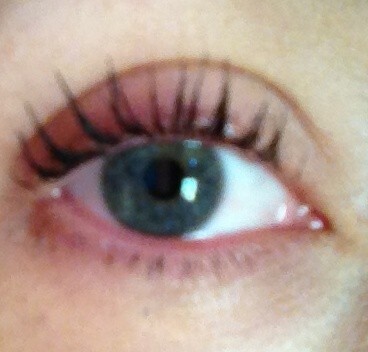 I have found myself in many awkward conversations in my life; a couple regarding eye lashes. I joined a group of women with young children and we went out for movie night. We stopped at Nordstrom for the amazing Laura Mercier promotion and chatted while waiting for help. 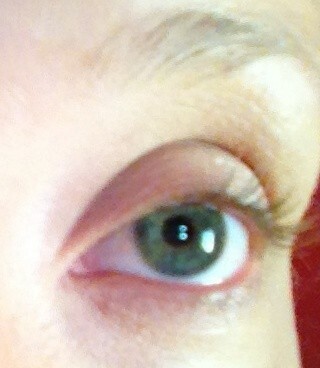 One of my new friends asked what kind of mascara I wore because she needed help. I asked why she needed help and she said, “Oh Asians have horrible eye lashes.” I had no clue how to respond. I innately like to make things better and did not know how to here, so I proceeded to get into her personal space and examine them in hopes she would elaborate. Nope. I have 2 mascaras that I love. I have deduced over the years that I have greasy eye lashes because most mascara ends up under my eyes, but these do not. One of them is the impulse register purchase, so perhaps it is a good ending after all. One is high end, one is low end. Neither of these have ever irritated my eyes. Enjoy my make up free “before” pictures. 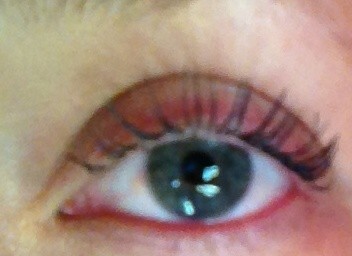 It stays all day and thickens the lash line. It says it is smudge proof, and it is on me. 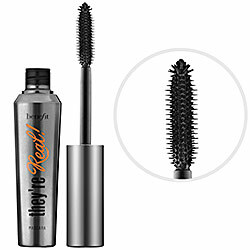 I have used several of their mascaras and they are the best for drugstore brands. It is the only brand that does not flake off under my eyes. The finished look is very similar to the Covergirl, but it lengthens the lashes more than Covergirl. This goes on incredibly easy and does not budge. The downside to this one, however, is getting it off. It does not come off with eye makeup remover (easily) or soap and water. I discovered, off chance, that baby shampoo removes it pretty easily. Here are both together. The Benefit mascara is on the left, and the Covergirl is on the right. You can be the final judge!